Potatoes are definitely a food I could not live without. 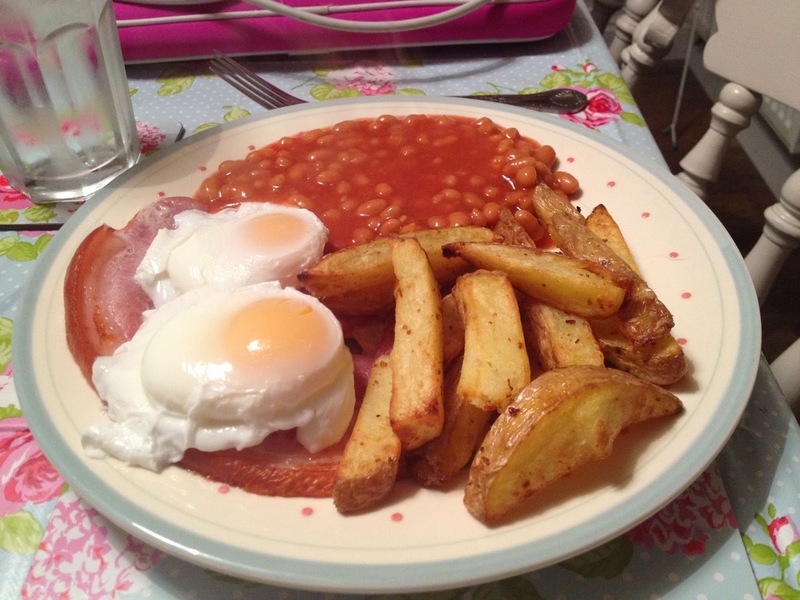 They are my ultimate comfort food, and I love that they are such a versatile foodstuff. I use potatoes pretty much every day in my cooking, and jumped at the chance to try out these organic potatoes from Green Vale. Green Vale call these potatoes 'all rounders' claiming that they are the perfect spuds any way you decide to prepare them. I decided to put that to the test. 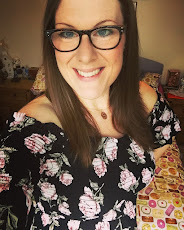 The potatoes made really scrumptious chips - I use a Tefal Acti-fry to prepare my chips which uses just 1 tbsp olive oil to prepare enough chips for the whole family...it's a much healthier way of enjoying chips. 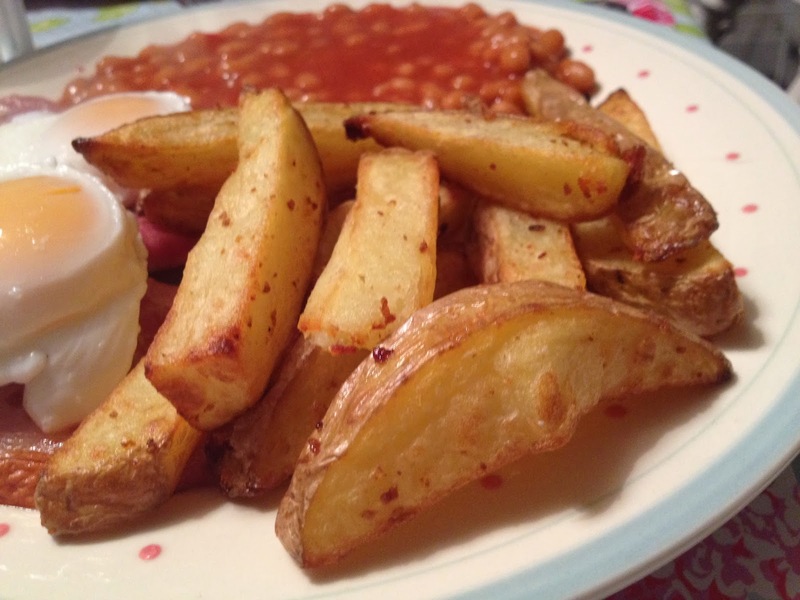 The potatoes worked very well - they came out of the acti-fry super crispy and were really fluffy inside - these attributes make the perfect chip in my eyes. 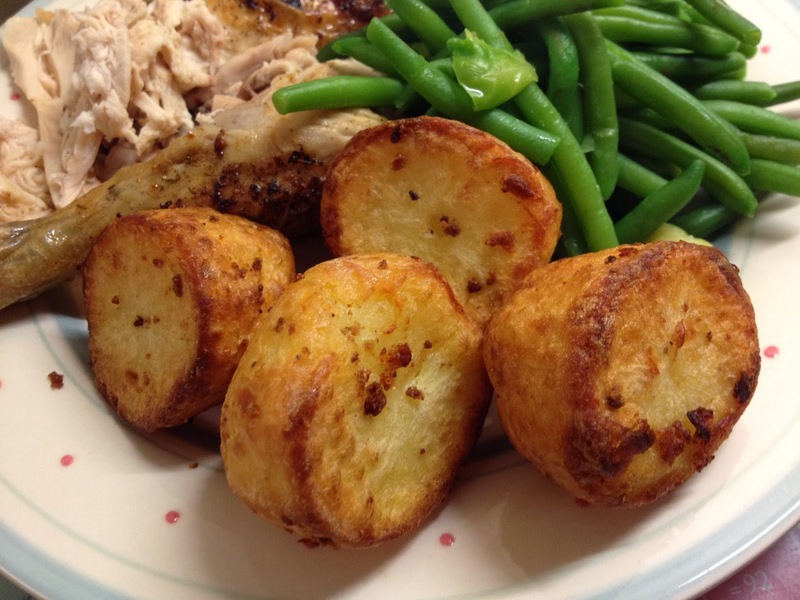 The UK's favourite - who can resist a good roastie? For me they need to soft and fluffy inside and very crispy on the outside. 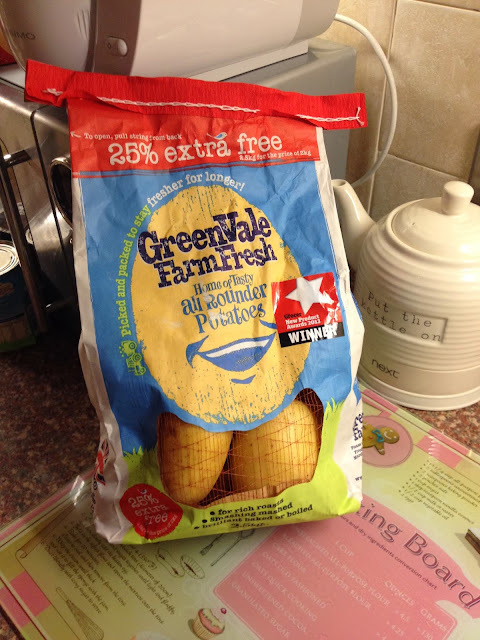 So, how did the GreenVale spuds get on? THE ROAST: Roast chicken, roast potatoes, green beans, sprouts & gravy. I think the picture says it all. PERFECT roasties (again, using the Acti-fry!) in just 45 minutes. The potatoes had a lovely flavour, despite being 5 days old by the time I made them. I think the paper bag that they are packed in definitely helps to keep the potatoes fresher for longer. There were hardly any bruises on the potatoes after 5 days, and not a single green patch or sprout in sight. THE MASH: Lamb stew, dumplings and mash. After a week I assumed the potatoes would suffer in terms flavour and texture. How wrong I was! 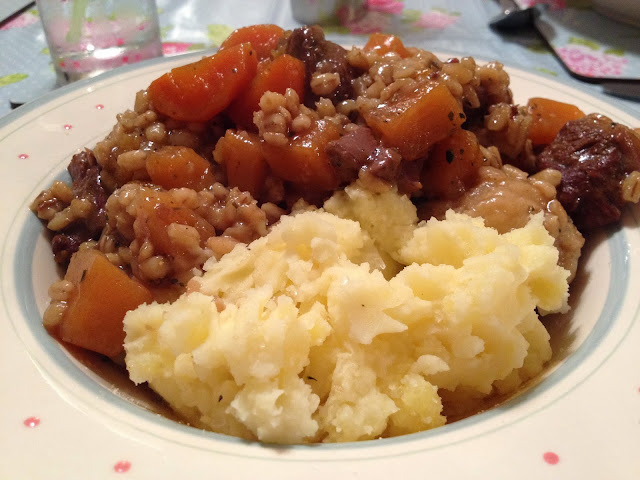 I made a lovely slow-cooked lamb stew with dumplings, and used the GreenVale spuds to make a fluffy mashed potato. I only added a little Lurpak Lightest butter, a splash of semi-skimmed milk and seasoning to the potatoes, and they were really tasty. I found them easy to mash and they soon became light/fluffy without lumps. 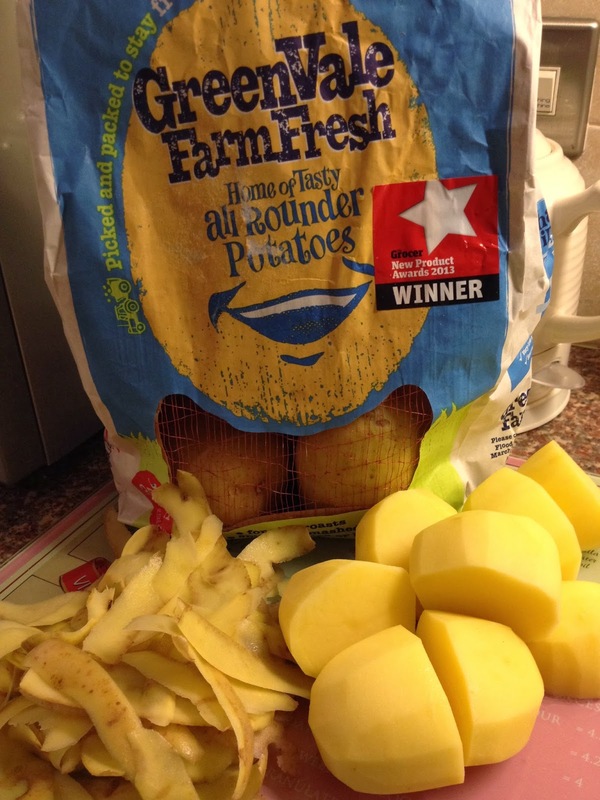 GreenVale really do seem to be reliable all-rounder potatoes, and I will certainly be purchasing them regularly from now on. It's nice to find a reliable potato that stays fresh, and doesn't start sprouting and turning green within a few days. 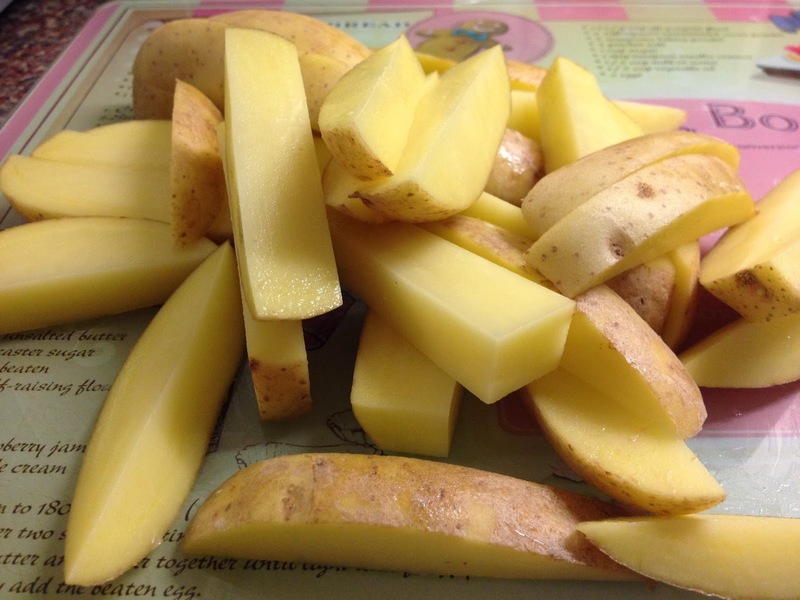 Which is your favourite way to prepare a potato? 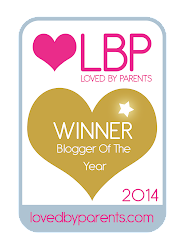 Disclaimer: I was sent a complimentary bag of GreenVale potatoes for the purpose of this review. All images and opinions are my own.